When taking into consideration that there are literally thousands upon thousands of places to eat in the Manhattan area of New York alone, from cafes and delis to Michelin starred restaurants ran by world famous chefs, there really is a gastronomic delight for everyone. With millions of people visiting New York on a regular basis, everyone is looking for something different in term of places to eat. Although the main tourist spots are packed full of restaurants to suit the vast majority of tastes, it is the places that the local New Yorkers head to that are so often looked for and the following are some of the most popular non-tourist eateries in the whole of Manhattan. 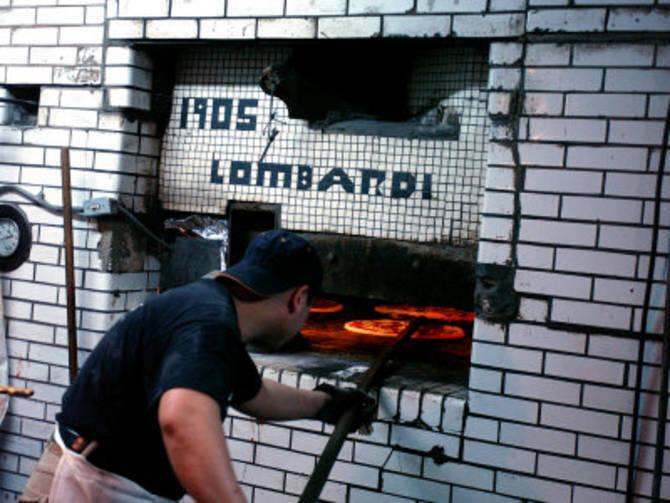 Located at 32 Spring Street (the corner of Spring and Mott Street), Lombardi’s is a institution in Manhattan, for the simple fact that it claims to be the very first pizzeria not only in New York, but the whole of America. 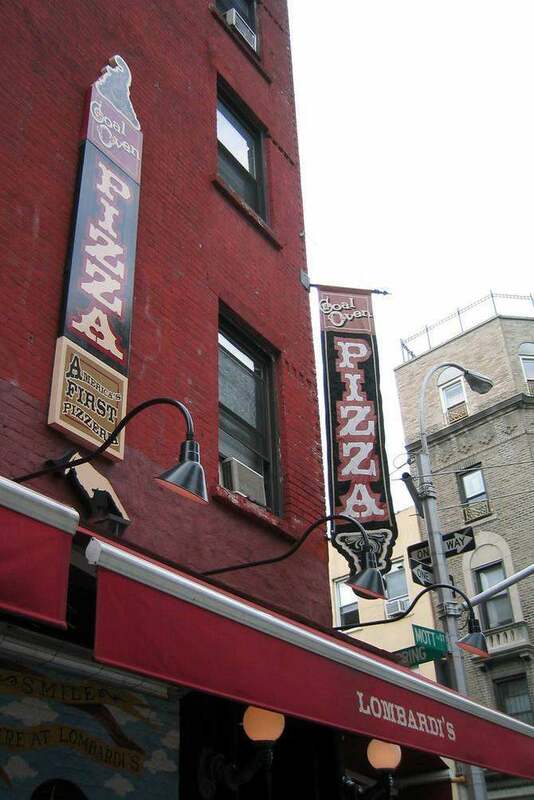 With the company opening originally in 1897 as a grocery store, it developed into a pizzeria in 1905 for which it has remained ever since (with the exception of moving premises to a block away after being closed for several years throughout the 1980’s). 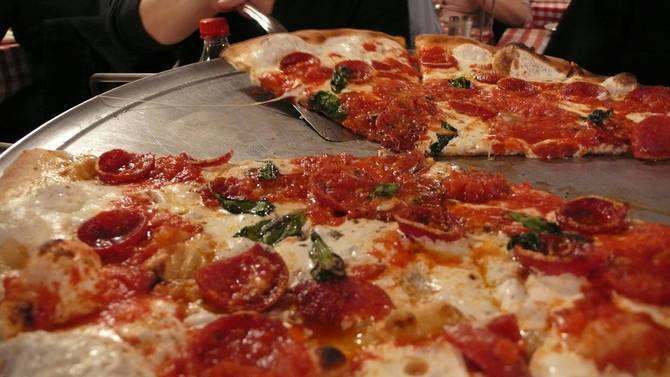 There is not much else to be said about Lombardi’s without actually going to taste the food – which, cooked in stone ovens, is said to be the best pizza in New York. 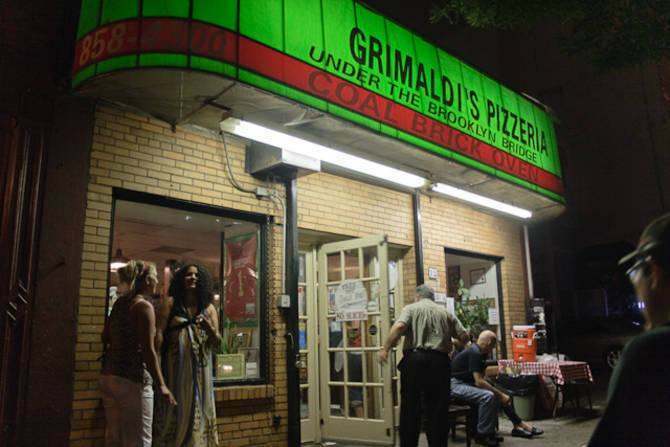 Considered to be a competitor of Lombardi’s for the title of ‘best pizza in New York’, there are several Grimaldi’s in Manhattan and the surrounding boroughs. As none of them take reservations, the popularity of the Grimaldi’s pizzeria’s regularly means that you should expect to queue outside of the restaurant for at least thirty minutes. However, it’s reputed by many that the pizza is well worth it and as they do not sell it in slices, only by the whole pizza, you should be ready to sit down, relax and tuck in to the very large and wonderfully tasting pizzas. 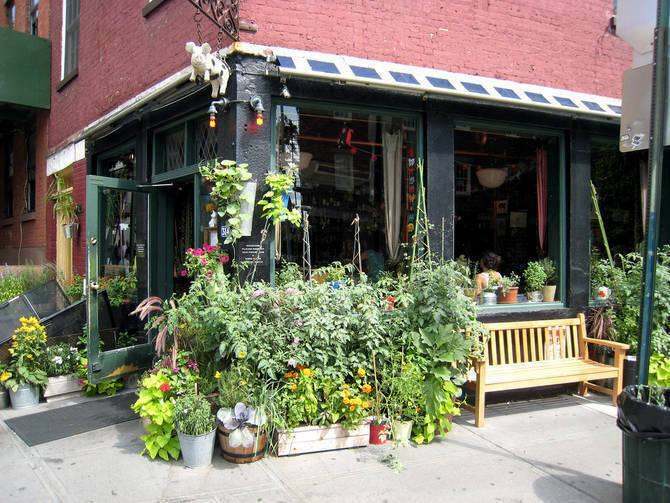 Located in the West Village (N.B. Thanks for pointing this out, guys! ), The Spotted Pig is considered by some to be one of the best places to eat in York. A mix of classic English and Italian cuisines, The Spotted Pig is one of the most popular restaurants with New York locals, said to be due to its laid back atmosphere, its late opening (2am, each and every night) and of course, the fantastic food that is served by head chef April Bloomfield. ‘Back in the day’, automats were popular in New York. 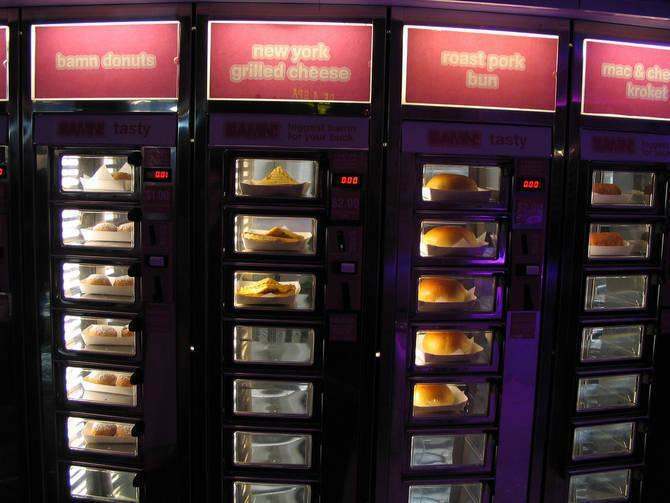 Working in exactly the same way a vending machine did, a customer placed their money into the machine, pressed the relevant button and outcome their chosen food. 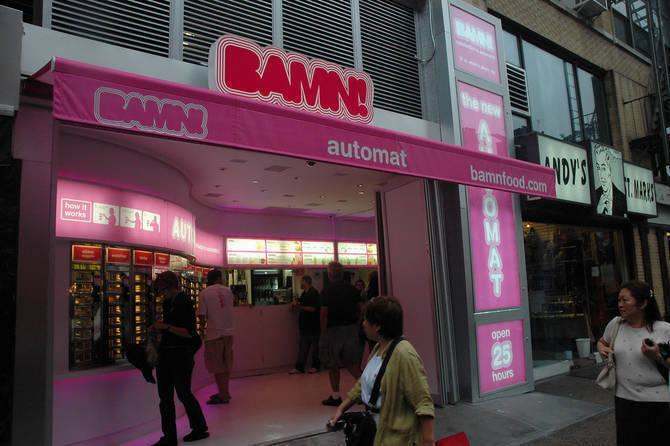 Brought back to life in recent years, the difference between Bamn and the more traditional automats is that they offer a much more radical and somewhat futuristic type of food – grilled Mac and cheese or green tea ice cream, anyone? 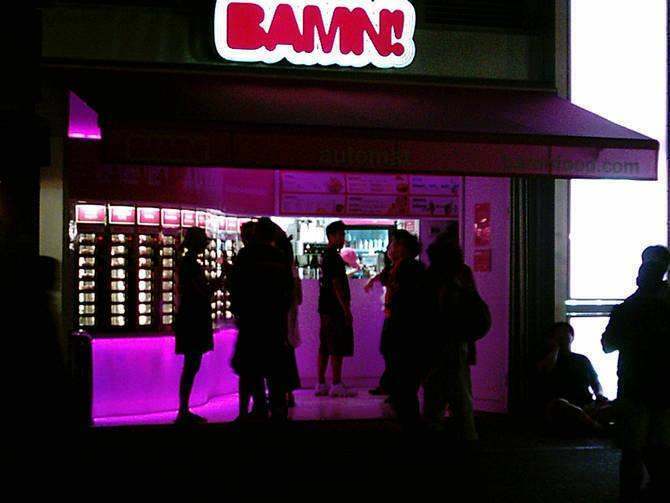 Unfortunately, it has been said in recent weeks that Bamn has been closed – I wouldn’t expect for long, however. 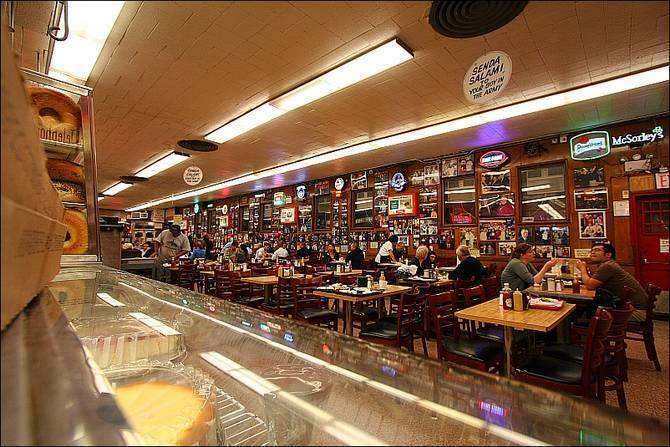 Some of you may be thinking that Katz’s Deli shouldn’t be included because it is quite a popular place due to being featured in the film ‘When Harry Met Sally’. 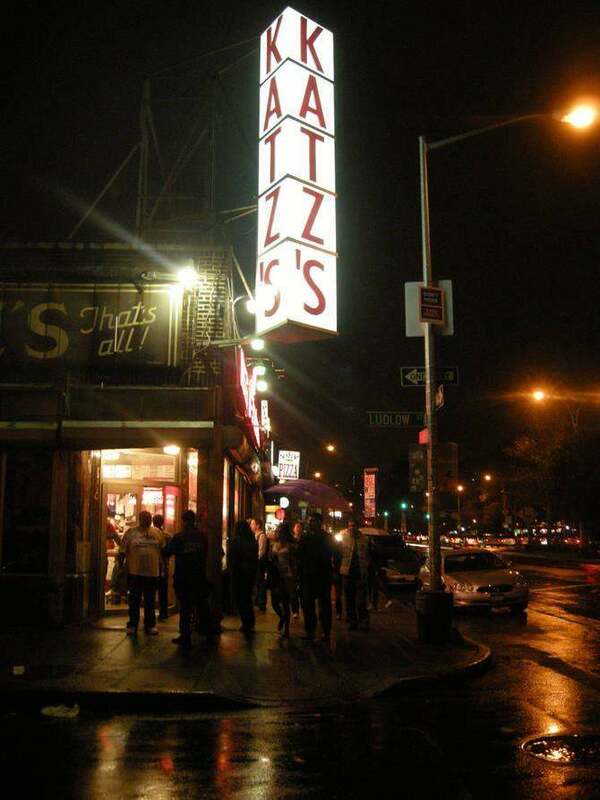 However, whilst Katz’s Deli might be visited by tourists, many don’t do anymore that take a photo of the outside. Big mistake, if you like good quality food and have some time to spare. Not particularly trendy inside, New Yorkers love the place for the fact that the food is great, the service is friendly and the fact that it is relatively cheap is a big plus. I wanna try these! However, Katz Deli, while being one of my favorite NY stops is by no means “relatively cheap” for a pastrami sandwich, a soda and some french fries my bill came out to $24!! Pricey my friend! Pricey!!! Katz’s Deli may not be the cheapest place in New York to eat, but for one of the best pastrami sandwiches in the City, with soda and fries, surely it’s worth $24? 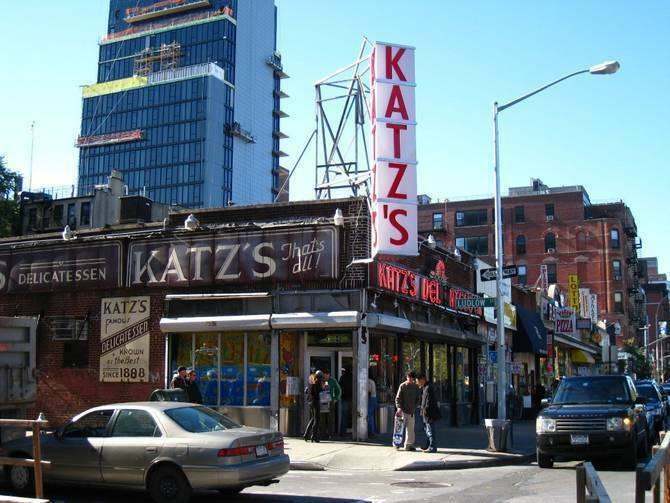 katz is perfect example of touristy place!!!!!!!!!!!!!!! ii would take people from out of town there 4 sure but second ave deli is much better…….i am sure you are not an original ny’r ……? You can’t do one of these lists without running into trouble, of course… but I’d second the notion on 2nd Ave. Deli. My Jewish wife gives it her stamp of approval, over Katz’s (which also isn’t bad but can feel too much like a production line). the best pastrami sandwich by far. worth the price. i dont think so. 24$ for a sandwich fries and soda worth it? u r on crack my friend. 2nd Ave. is by far less touristy. The people at Katz’s know they have a goldmine and are willing to put it to people with the prices. 2nd Ave. does better on the prices and the pastrami plus you don’t have to fight the people with their cameras and rude children. The last time I went I was behind a long line of people who all of a sudden began to look up at the menu when they got up to the counter. No thank you. I don’t have a problem with the tourists other than the ones who ignore others and disrespect the way it is done in New York. People stopping to talk about what they are going to do next just outside a train while people are trying to get in and out is not good manners. Yeah, it is good that they come and visit but meh to people who come here and try to explain to us that we are rude when they come with the attitudes. I’m just saying. Ok, just about all of these ARE actually touristy. The restaurants are good but you’re not gonna beat the crowds of outsiders. meh. Sure, there may be lesser known places to eat at, but I was trying to provide information on places that whilst being popular primarily with New Yorkers also have some type of appeal with tourists or have something that new visitors to the City might find interesting. This might have been a particularly great piece of food or simply the atmosphere of a local New York restaurant. More than happy to take recommendations to compile a list of places that are strictly non-tourist! these are some of the most well-known, touristy places! The Pig is in the West Village. Bamn! has been closed for over a year now. There’s now a Baoguette there; a restaurant that served Bahn Mi and Pho. It’s actually more interesting than Bamn, though I do really miss their green-tea ice cream cones. Just a clarification…The Spotted Pig is not in the East Village, but in the West Village. two blocks from my apartment…also, I LOVE Uva on the UES, and a place called Vesta in Astoria. both quaint, privately owned wine bar/bistros. Very cozy and relaxing! 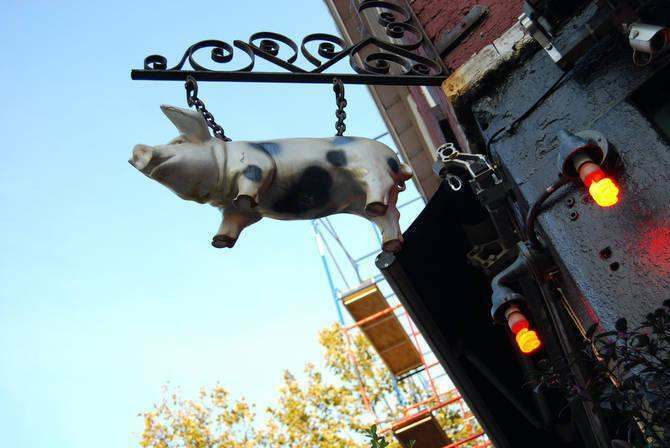 Apologies about The Spotted Pig – it is in the West Village. Thanks for putting me right there. In respect of Bamn. I mentioned it because I’ve heard some very strong rumours that it’s returning. Not in its former location, but within the vicinity. Plus, from the New Yorker’s I spoke to when I was last in the City, it was somewhat of an institution! I’m reading this from Brisbane, Australia. 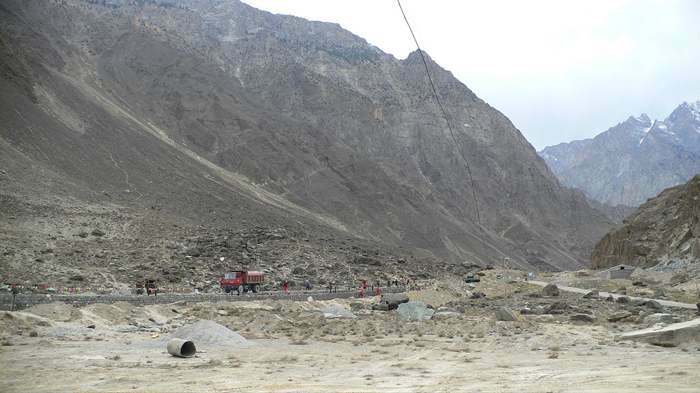 Wondering why all the anti-tourist comments? Your city isn’t immune to financial crises, and relies heavily on people (tourists) visiting. I’d suggest opening your arms, minds and hearts to people. It certainly works down under. F*** TOURISTS…We hate them. Taking up the sidewalks. Staring into space. Stopping right in front of you for no reason. They should be hit by a bus when they come here this way they would think twice about coming here. Paul, you are such an idiot. New York is f***** built on tourism, and don’t forget, America is ridiculously young compared to the rest of the world, and it is made up of all of our people: Irish, Italian, Spanish, Chinese etc etc. So you might want to think about where YOU came from, since your family haven’t been living in New York since the beginning of time. Many tourists have also moved to New York and probably done a lot more there than you have. If no tourists ever went to New York, you’d be screwed. And unless you plan to stay in New York every SINGLE day of your life, remember you’ll be a tourist in someone else’s city or country. Just don’t be so cocky next time, you sound really ignorant. You should be happy that people want to visit your city. You are truly not from NYC. Get rid of the attitude dude. I’m sure that you are depressed individual with no friends or have any prospects of a girl or boyfriend. I’m from Toronto, Ontario and I am in NYC on a regular basis. I would have to agree that Paul K is definitely not a true New Yorker, as I’ve never met anyone from there who would say such a thing. He is probably a depressed individual that lives on the outskirts of NY and comes to Manhattan on occassion. Hey Paul, there’s a rock icon (Neil Young) from my hometown that sings a song about guys like you. It’s called “The Loner”. Listen to it, feel it! As a New Yorker, I have to point out that those are all pretty touristy places. Grimaldis USED to be my favorite pizza place, until I discovered Di Fara, on avenue J, http://www.youtube.com/watch?v=eNKeF5gNh1E which is far superior. 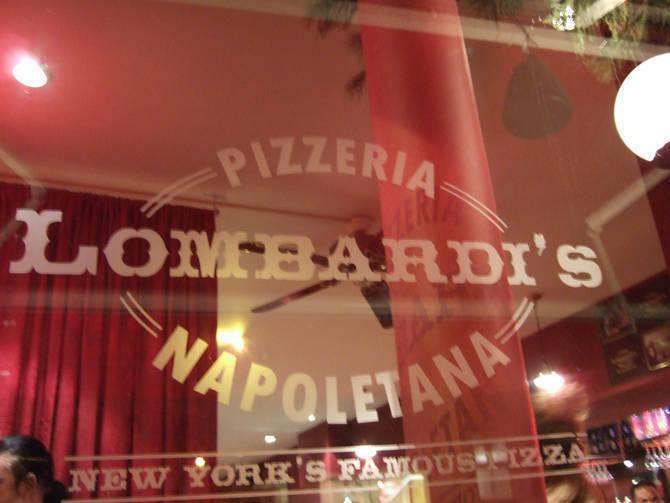 Lombardis is Definitely a tourist spot, but not so bad… about on par with Grimaldis. Katz is 100% touristy, but also 100% awesome, so I’m in agreement about that one. Less touristy would be all the hidden little Asian food stalls in the underground food malls in Main Street, Flushing. You’d think you went to China. Same with Indian food at 73rd/Broadway/Roosevelt in queens… the lunch indian buffets there are amazing. The Jewish bakeries on Avenue J near the Q line are really something. You would also have to find Kenny Shopsin’s little place in the essex street market and check out his Mac&Cheese Pancakes… http://www.youtube.com/watch?v=ayZYfRXS6Do Don’t bother Kenny too much, or you’ll make him hate you. A late-night haunt that lots of the post-club crowd goes to is Wo-Hop, down on Mott St. It’s open very late. What makes a lot of these places great is that who is cooking for you, is often the loving owner, or maybe a 2nd, 3rd, or 4th generation family member, who has had the secrets passed down for years. When you get too far away from the city, your cooking gets done by untrained minimum wage teens cooking lowest common denominator junk filled with chemicals and processed until it is unrecognizable. I agree, these places are 100% touristy. 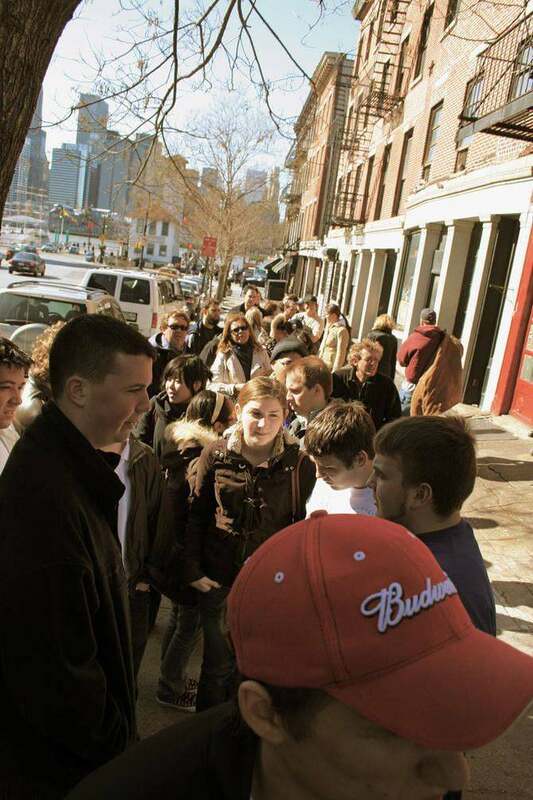 My girlfriend’s father used to manage the Grimaldi’s under the Brooklyn Bridge and while the pizza is absolutely fantastic, the line is ridiculous. Also the pizza’s really expensive and you have to eat a whole pie. Also, Dave K. doesn’t know what he’s talking about because out of the city lies Brooklyn, Queens and Nassau county. While BK and Queens might be just as packed with tourists, there are some really top notch restaurants in Nassau county which will have absolutely no tourists and some of the best food you’ve ever eaten. For example, around the Nassau-Queens border is another Grimaldi’s (same owner). Totonno’s is the best pizza I have ever had. I think it’s important to remember that New York is one of, if not the, most visited cities anywhere in the world, therefore every eatery in the City is, to some degree, going to be touristy. When you compare these places to the likes of Bubba Gump or Hard Rock Cafe in Times Square, however, their popularity with tourists is far less and they are visited more by those who live in New York. The building of the pizzeria is a rustic building. I hope he constinue preserved. Bamn! sucked real bad, and it’s not coming back. It didn’t turn a profit so it closed. It was neither a fixture, nor an institution. It was open for about a year, then went bye-bye. Three Ultra-Tourist Places To Eat in New York City, One Closed Crappy Automat and The Spotted Pig. the best food in the city is on the streets!a sausage,hot dog or souvlaki and a can of soda-thats new york! The Best Non Tourist Places to Eat in New York City According to a Wide-eyed Midwesterner Who Just Moved to the City Three Months Ago. Isn’t that a more proper title Dan? The best thing about this list is, it make people (New Yorkers) upset and make them come with real suggestions. Guys, where I come (St. Louis), touristy means overhyped, overpriced, and mediocre — and such small portions. The choices listed certainly don’t meet this definition. Be thankful for what you have and not for what you don’t have. I’d give my baby toes to be able to eat at any of these restaurants on a regular basis. bamn closed a few years ago. This was such and absurd FAIL. Why not put TGIF’s in Times Square on this list as well? These are all TOURIST places to eat. And your defense of stating that really all places in NYC are touristy places is a blasphemous comment because the places that I, an NYC resident of 15 years, personally go to do not have lines around the block that consist of tourists. I mean, really? Do your research. Do you live in NYC?? the best part of reading all these posts, is that not a SINGLE new yorker has said the same thing. NOT ONE OF YOU. other than “these place are touristy”. YOU ALL have a different suggestion of where to go and what’s the BEST. This dude wrote a list of restaurants that do really well in new york, doesn’t make any of them the top 50 most touristy places to eat, these are just POPULAR restaurants that you probably wouldn’t end up at unless someone FROM new york recommended it to you. Does that not make sense to anyone?? People are all good. 🙂 Tourists are cool too. We’ve all been tourists some time or another. These places are touristy. Nothing wrong with that. They’re also pretty good calls for good food and/or experiences. Hit up Sammy’s Romanian Steak House. It’s HEAVEN! New York Style! Order the chopped liver. YEAH! great list, have tried a few and still need to try a few…great food. Spotted Pig is amazing!! Ben’s Best Deli in Rego Park is the gold standard. I haven’t been to any of them, but I would like to try the pizza places if they aren’t too crowded. The Bamn 21st century of Horn and Hardart’s closed a year ago….If you’re going to write about the 5 best unknown palces to eat in NYC and admittedly state that you’re unsure if Bamn is still open, coudn’t you have at least tried 411 before writing about a place that reviews only 5 eateries! With all the great “unknown” places in NYC, even questioning the existence of Bamn, should have knocked them out the box in the first place. Maybe you should do the 411 before writing a dumb comment like that. If you took the time to read any of the comments above you would know that the closer of “Bamn” has already been brought to light. And who gives a damn maybe you should back away from your computer and get a life. I don’t see you writing any suggestions, at least he is trying to give some good suggestions to people who don’t live in NYC. I’m not clear… was this post sheer sarcasm? 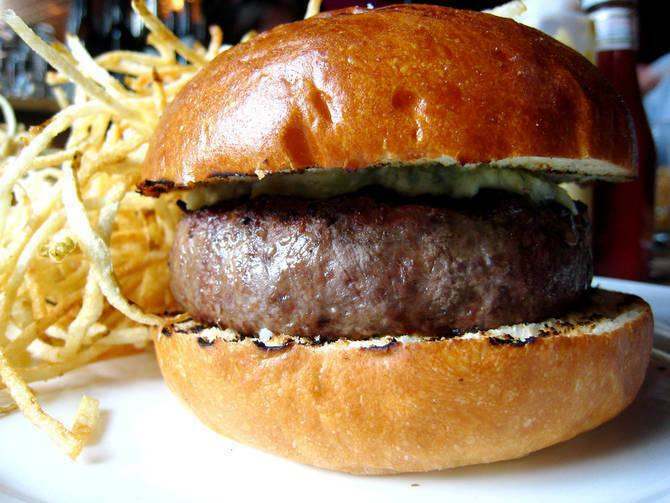 Alright, so New Yorkers, is The Spotted Pig good or not? Some seem to say it is better than the others on this list, and others are dismissing the entire list. Help a visitor out, please. Seriously, coming to New York from Dallas for the first time in October. Will try not to act too touristy and will be respectful at all times of the locals. Need some serious tips on food places.